Pimentel Construction is a leader in the construction industry. They offer project management services, expertise in construction and innovative design/build plans. Their innovative solutions have generated great success for their company. 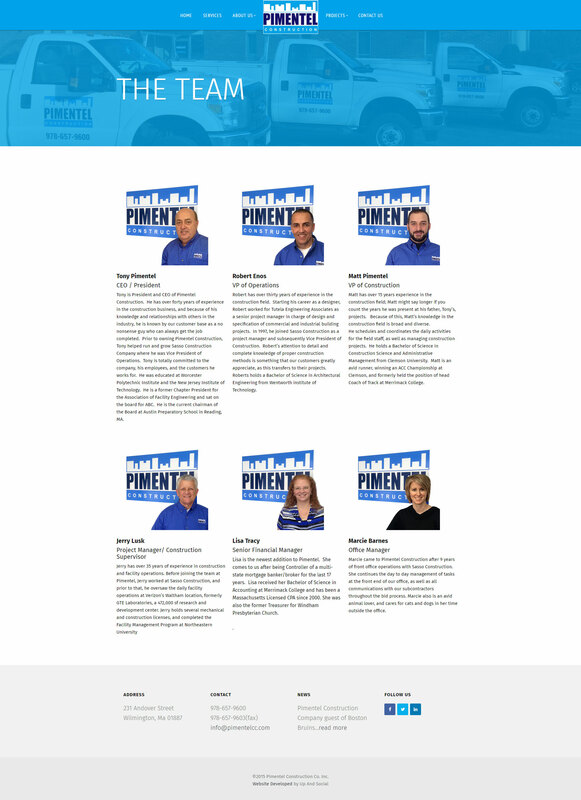 Pimentel came to Up And Social looking for a brand new website for their construction company that would connect them with customers and set themselves apart from the competition. They had never had a website and were losing out on a large market as a result. 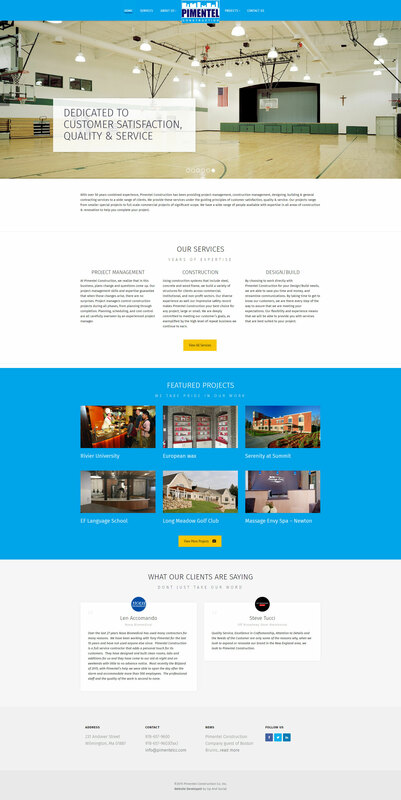 Up And Social delivered an interactive website full of important information including services, featured projects, testimonials, and the team. 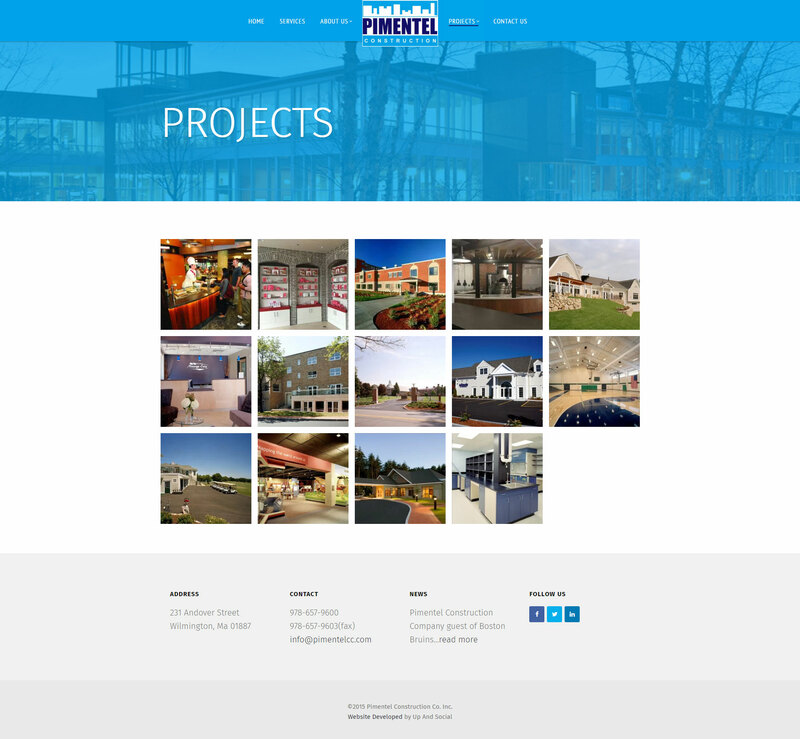 After many designs and mockups, we decided on a website that conveyed Pimentel’s atmosphere as a company. We paid attention to their professionalism, sleek design and goals and translated that into a carefully tailored website.